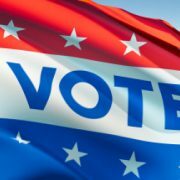 No matter who wins the 2016 presidential election, unless your phone is ringing off the hook or you’re up to your ears in referrals, you are still going to need to be proactive and reach out to prospects by phone or in person. Discounting: Respect yourself or else your prospects won’t! Summer time is usually slow for us just like countless other organizations out there. Last June, I was discussing our services with a prospect and he asked for a discount. 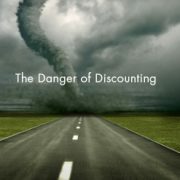 This post isn’t about whether or not should you discount, there’s strong arguments on both sides of the subject. So here’s what the prospect and I agreed to: I gave him a 25% discount since it was our slow time as long as he signed the agreement by the end of the month. I wrote it clearly in the proposal that the discount was null and void by the certain date. The deadline came and passed and I closed out his file. Later on, I heard from my prospect out of the blue that they wanted to move forward and asked for the same discount. I politely told them no. I wanted their business but didn’t need it. I was in a better negotiating position since things have picked up. We discussed things and I agreed to give him a 12.5% discount rather than 25%. He wasn’t thrilled but I resent him the proposal with the new deadline in writing. Guess what? He signed the agreement and we are good to go. If you give in too quickly, in my opinion, I don’t believe the prospect will respect you. Your deadline and word is no longer good and they know if they push hard enough, you’ll give in. If a girl meets a guy at a bar and gives in quickly by going home with him after the first night, the guy may not respect her. Same way with your prospects. Stand your ground. Tell them no politely and professionally. Respect yourself. If you don’t, the prospects won’t either. http://www.connect5000.com/wp-content/uploads/2015/02/blog-pic-16.jpg 247 469 Ray Ruecker http://www.connect5000.com/wp-content/uploads/2016/07/connect5000.png Ray Ruecker2016-07-11 14:35:252016-07-09 22:41:45Discounting: Respect yourself or else your prospects won't! Just like countless sales professionals, I use my cell phone as my main number to be reached out since I’m mobile and travel quite a bit to see clients and prospects. On Thursday afternoon, I happened to get a call from Ontario, Canada. I had just gotten an email via LinkedIn from a company in Canada and thought it was this company following up by phone so I answered “Hello?”. He didn’t identify himself but started asking questions so I assumed it was a follow up sales call. It wasn’t! It was a tech company who came across my website and was interested in my lead generation services. I tried to explain this to the gentleman but no success and I wasn’t able to get the conversation on track. 1. If you’re not ready to take a call for whatever reason, don’t answer it and let it go to voicemail. It should be obvious to me after doing this for 12 years, but we all make sales mistakes. 2. 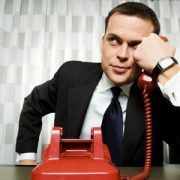 We all get inundated with calls and sometimes we don’t know if they’re personal or professional. Always err on the side of being friendly professional. This guy who I checked out on LinkedIn was part of a technology company which is in my target audience and I blew it. There’s an old saying that you never get a second chance to make a first impression. How true! Please don’t make the mistake I just made. It could literally cost you thousands of dollars in revenue.